iCampus is a Portal Based School Management Software. The System is classified into Academic divisions and Non-Academic divisions. 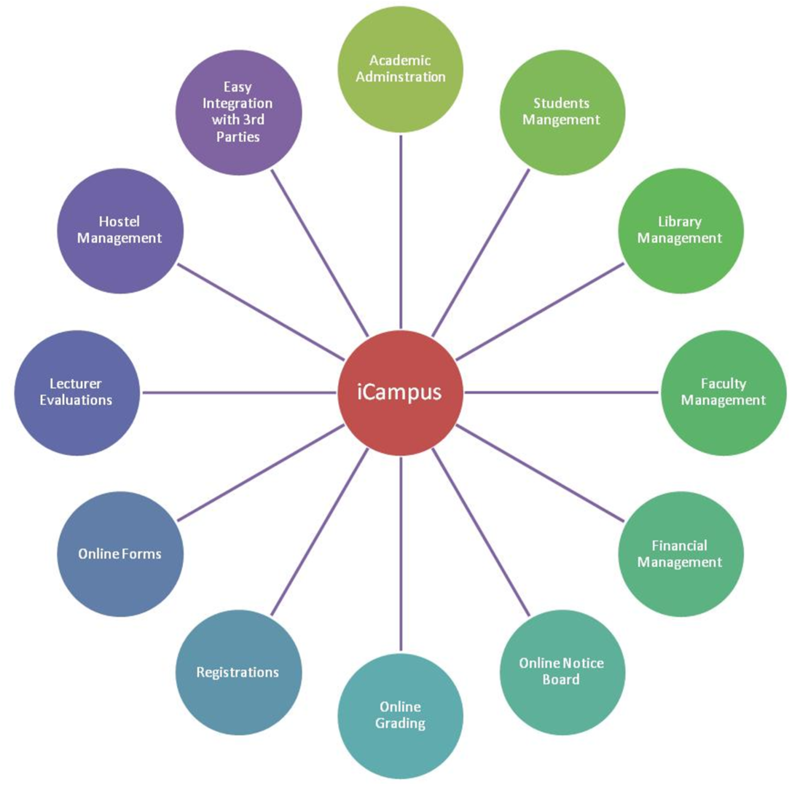 iCampus handles as its major field of concentration, students, Academics, Admissions, Departments and Finance all of which can be described as peers in a continuing sequence of events or tasks. Web based! One Support for all nodes. There's a prepared presentation on iCampus, you can get it from here.